In a way, it was Raimi who started the superhero explosion we're seeing today, or at least serves as the most direct forebear. Bryan Singer's X-Men may have came out two years earlier, but as superhero films have moved further and further away from Singer's dour vision, Raimi's odes to the four-color extravaganzas the comics came from are a clear early sign of where Marvel movies would eventually move. Some of Raimi's campier touches don't work terribly well; the Green Goblin suit was goofy at the time and it's goofy now. But some, like the brief stint in the wrestling ring ripped straight from the comics - and another era - are immensely charming, and Raimi's dedication to quiet, personal drama where it was needed is something that modern superhero films could stand to remember. Raimi's trilogy would eventually peter out due to executive interference, but the first entry is still a lively delight. After the dreadful X-Men: The Last Stand and even worse X-Men Origins: Wolverine, it was clear the X-Men movie franchise needed a big change if it wanted to survive. Enter First Class, with an exciting new cast, stylish 60s time period, and a fresh look at the early lives of Professor Xavier and Magneto. Although Kevin Bacon makes a fun enough villain as Sebastian Shaw, it's the Nazi-hunting Magneto played masterfully by Michael Fassbender that steals the show. When we put forth the call for voters, we were pretty clear: There weren't really any rules as to what could be called a superhero film unless things got pretty out of hand. So imagine my surprise when we got ballot after ballot for Robocop, Paul Verhoeven's 1987 dystopian masterpiece. It fits the trend, though, as an early forerunner for a certain kind of superhero film: The tragic origin that gives him his powers but pits him against the very people responsible for his creation is an iconic superhero trope, and Verhoeven delights in the 80s ultraviolence that wouldn't have been out of place in the Frank Miller-influenced comics scene at the time. Speaking of Miller -- he wrote a Robocop comic, and came back to script Robocop 2. 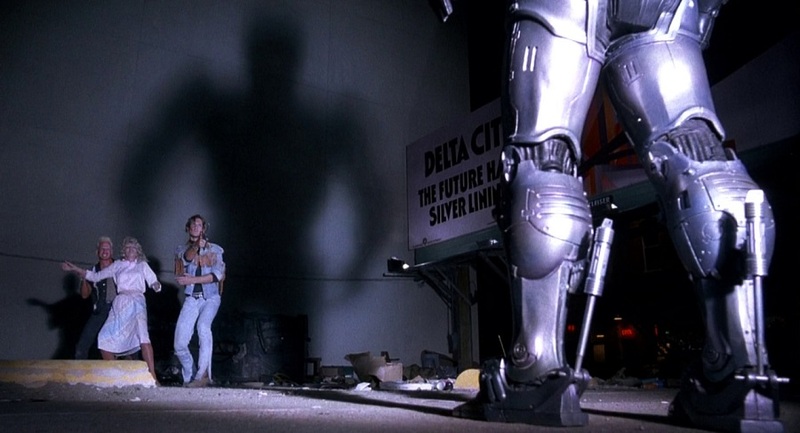 Robocop remains one of the 80s bleakest, most iconic action films and a staple of the excellent, odd career of Paul Verhoeven; I suspect the only reason it isn't higher on the list is because it didn't occur to many to put it on there. There's a raging debate occurring among Guardians fans as to which film is better between the sequel and its predecessor. Either way, there's no arguing that this second-go at James Gunn's ragtag group of interstellar misfits isn't a unique spin on the Marvel movie formula. 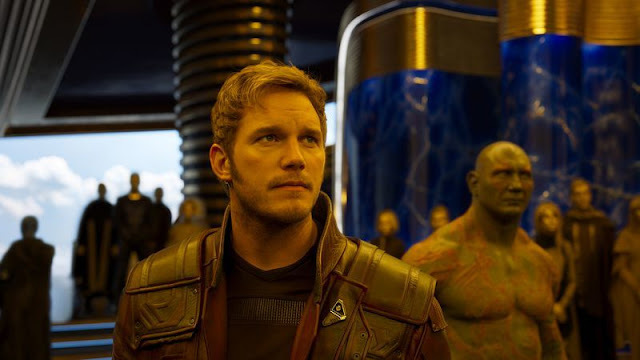 Essentially a big budget bottle-episode, the ensemble cast is given a good deal more to chew on in terms of character growth and depth, and the revelations provided by the presence of Starlord's dad, EGO (played with a fun swagger by Kurt Russell), at the very least, makes this an vital epilogue to the original journey. Terrific soundtrack too. Alan Moore and Dave Gibbons’ Watchmen is arguably the greatest graphic novel of all time–along with The Dark Knight Returns, it is often credited with the maturing of the comics medium. It was also notoriously called, “unfilmable” by Terry Gilliam, a director who was perhaps uniquely suited for it’s neon action. Zack Snyder, hot off the surprise success of his first comic adaptation 300, certainly made a valiant attempt and in many ways succeeded. While it changes a few key things from the comic, it captures the look and feel with impressive accuracy, and a few of the casting choices are inspired. If you’re a fan of the graphic novel, it’s hard not to get swept up in this big screen adaptation. Start with a screenplay by one of modern sci-fi's best screenwriters, Alex Garland, then add an excellent cast consisting of the ubiquitous Karl Urban in the lead and Lena Headey playing opposite, and you've got a pretty exciting thing to look at. 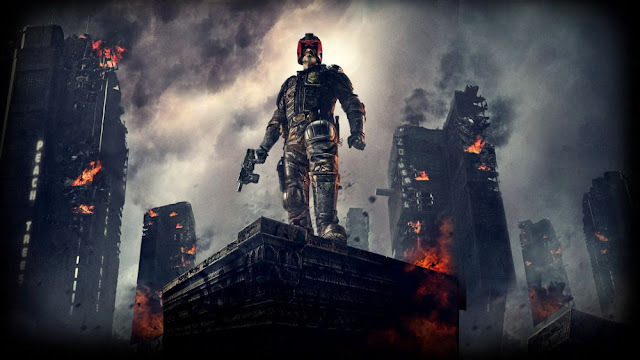 Dredd's thrilling visual style, thumping score, and genuine love for the 2000 A.D. source material all add on to make this one of the most rewatchable of modern superhero films. One of the purest distillations of comic book source material brought to screen, Joe Johnston makes a roaring comeback as he reinhabits the throwback vibe that made his earlier The Rocketeer such a joy. Between the sepia tones, the pitch-perfect casting of its central player (if we were ranking superhero castings, Chris Evans might be at the very top, as he just lives in the "aw shucks" demeanor of Steve Rogers), Hugo Weaving doing a great Werner Herzog impression, and maybe the best love story of any of these films. The Cap movies are the best of the Marvel franchises, and this one got them off to an exuberant start in the Simon-Kirby mold. Kneel before Zod!! One of the more intriguing entries on this list, most especially due its troubled production history. A good portion of Superman II was conceptualized and shot during the creation of its preceding entry, but after Richard Donner had quite a falling out with the the Salkinds, producers of the Superman films, they turned to A Hard Day's Night's Richard Lester to come in and finish the sequel. With an awareness of what occurred behind the scenes, its hard to not spot what was filmed by Donner and Lester respectively (one goes for mythic grandeur, the other tends to lean comic slapstick), but to many who watched this film as it released with virgin eyes, it was the superior Superman adventure - finally portraying in live action the first Superman vs. super-powered villains fight that fans had been craving for decades, and Terence Stamp's portrayal of General Zod is legendary for a reason. Superheroes and horror are tough to mix; one is a power fantasy, while the other depends on making you feel powerless. But one of the early successful comic book trilogies, Blade, walked that line well. Blade would help modernize and popularize the action-horror template that would continue in the Underworld and Resident Evil franchises, focusing on an implacably cool hero hunting monsters out to harm humanity. In Blade, that implacably cool hero is played by Wesley Snipes, and his villains are a who's who of excellent character actors: Donal Logue, Sanaa Lathan, and the eternally villainous Stephen Dorff. There have been a lot of movies that have tried to mimic the success of Blade, but few have been successful. Batman, at least on the big screen, was pretty much dead. The two previous films by Joel Schumacher effectively destroyed all that Tim Burton had created, and there hadn’t been an attempt since 1997. (Side note: kind of hard to imagine a world now where there isn’t a movie with Batman for 8 years!) After the success of 2000’s Memento Christopher Nolan had tried his hand at the Hollywood thriller in his Insomnia remake, but was interested in reviving the DC Comics hero after the recent success of the X-Men and Spider-Man franchises. Nolan took a different approach to those, however, shying away from the comic book visual style and instead aiming to ground the hero firmly in the real world. Batman Begins is maybe not the best of his trilogy, but it launched a whole new era for Batman and created a visual and narrative style that has been the house style for DC ever since. Remember Ryan Reynolds regrettable character in X-Men Origins: Wolverine? Before the release of 2016’s Deadpool, you couldn’t be blamed if you didn’t. Add onto that Reynolds’ equally regrettable turn as Green Lantern in 2011 and you’d expect his days in superhero cinema to be long over. 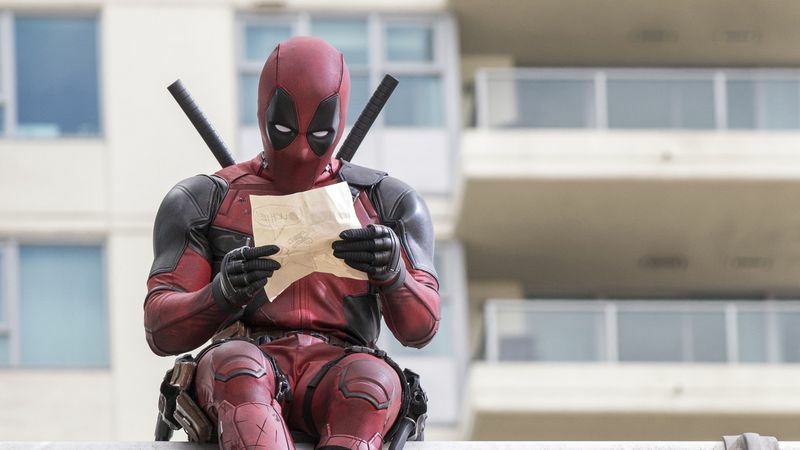 To the shock of many, Deadpool smashed box office records, opening at #1 and making $132 Million in its first weekend, and still sitting as the #2 R-Rated movie of all time. Deadpool relaunched Ryan Reynolds’ career with the role he seemed born to play, and the wise-cracking, fourth-wall-breaking anti-hero paved the way for the R=Rated superhero film and cemented the character as the most common cosplay at every convention. 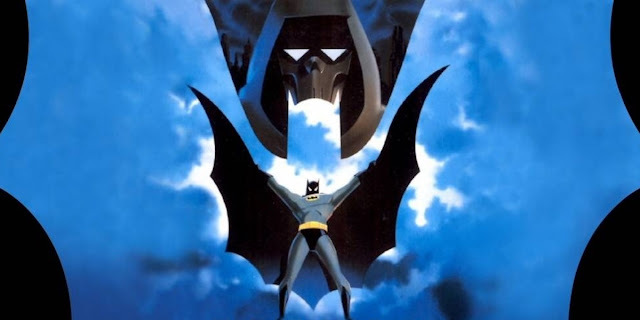 Batman: The Animated Series is still the definitive Batman for a whole generation that grew up watching it on Saturday mornings, and Mask of the Phantasm is the culmination of that show. Taking the wonderful voice cast from the show and adding the talented Dana Delany (the voice of Lois Lane in the Superman animated counterpart), this film aims to reach an older audience with a tragic love story. Pulling in parts of the classic comic Batman: Year One, Phantasm fires on every dramatic cylinder and easily holds its own among the live action Batman films. In some ways, the appeal of Batman Returns can be summed up just by looking at a handful of stills, because this is, for my money, the best-looking Batman movie that exists. 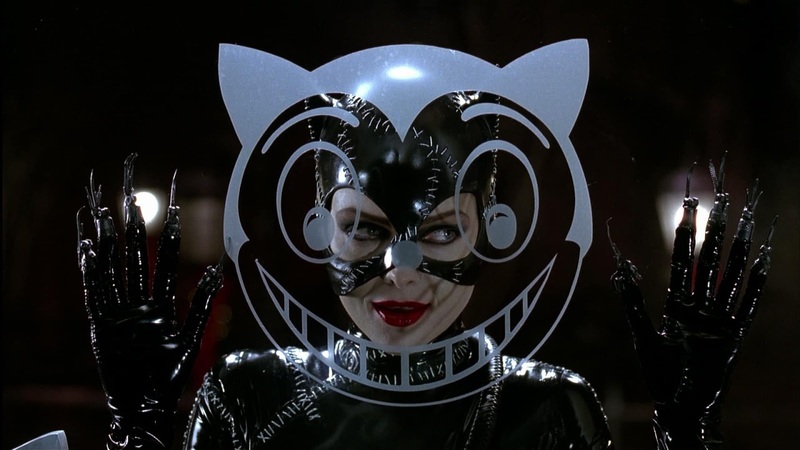 Burton's 1989 Batman may have created the template, but with Batman Returns, Burton's villains fit his visual sensibilities far more than the Joker. Danny DeVito remains almost eerily perfect casting as the Penguin, but the real star of the show is Michelle Pfeiffer's instantly-iconic Catwoman, a slinking, prowling villain who fits so flawlessly into Burton's Gotham City that I'm frankly disappointed that the movie isn't just about her. It's hard for a sequel to outdo the original, but when it comes to creating a distinctive aesthetic, Batman Returns is a step above. This is, in many ways, the movie that kicked off the modern superhero trend. 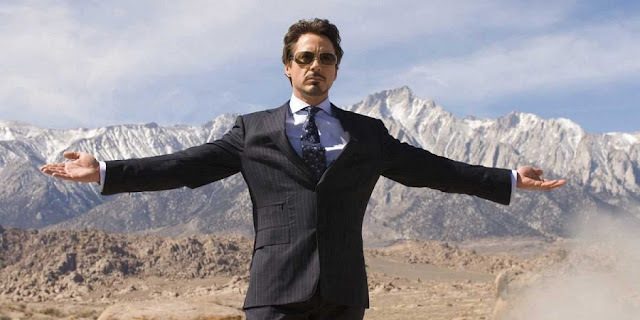 Spider-Man and X-Men showed that the demand was there, but it was Iron Man that suggested that you didn't need an A-list hero to make truly blockbuster bank, and the massive success of Jon Favreau and Robert Downey Jr.'s take on the character spawned the Marvel Cinematic Universe, the Avengers, and Marvel Studios, a gajillion dollar film empire now trying to plan movies 5-10 years in advance. But Iron Man remains a small, surprisingly slight movie, with few of the massive set-pieces that would come to define Marvel. Mostly, it's a character study for Downey's Tony Stark, a movie that forces him to come to terms with his sin and puts him on an insane path for redemption. Perhaps the most surprising thing about Iron Man is how natural that arc feels. In a way, there are three major eras of comic book films, though only the most recent hasn't petered out rather quickly. Tim Burton launched the second with the release of Batman, a gothic action extravaganza that used Burton's odd aesthetics to immortalize Gotham City for generations of viewers. Batman has aged very well, from its iconic soundtrack by Prince to its visual design that remains influential to this day, and I think it's telling that both Burton's Batman films were so close on the list. In the end, the original won out, but both present a compelling artistic vision of a strange and beautiful Gotham City. Without Batman, there is no Blade, there is no Hellboy, and, I suspect, there is no X-Men.